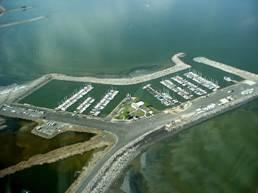 Portland Bolt has supplied over 40,000 pounds of galvanized timber bolts and other marine fasteners for the construction of docking systems at the Great Salt Lake Marina. The Great Salt Lake is three to nine times saltier than the ocean and currently is about 18% salinity. Hurricane force winds with gusts over 100 mph occur regularly. The marina has over 300 slips with only three or four power boats, the highest ratio of sailboats to power boats of any public marina in the United States.